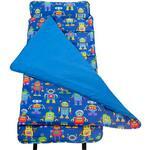 Cotton/polyester print fabric with polyester batting fill. 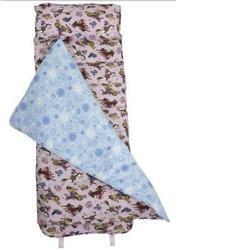 (20” x 9”). 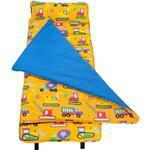 Suitable for preschool. 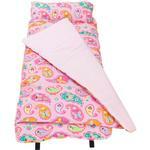 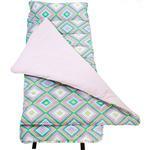 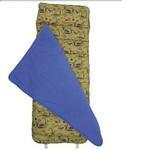 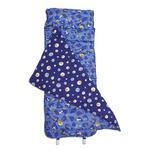 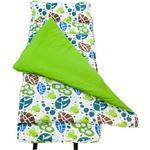 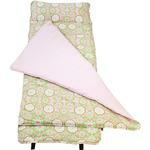 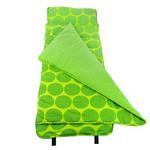 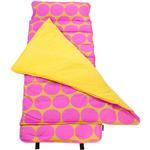 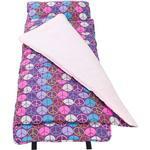 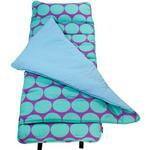 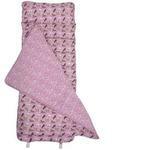 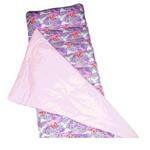 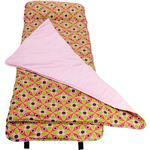 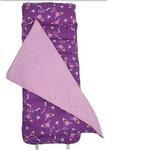 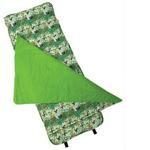 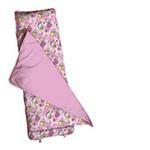 Attached blanket (30” x 40”) lined with 100% cotton flannel, with a light layer of polyester fill for added warmth. 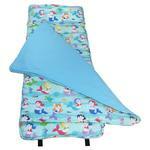 Machine washable, gentle cycle, cold water. Pillow removable. 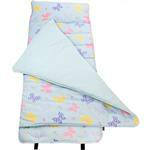 Easy roll-up with Velcro closure. 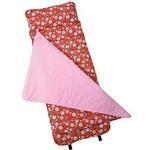 Lightweight when rolled, handy carrying strap.